It’s no secret that people are passionate about their opinions (whether others are listening or not). 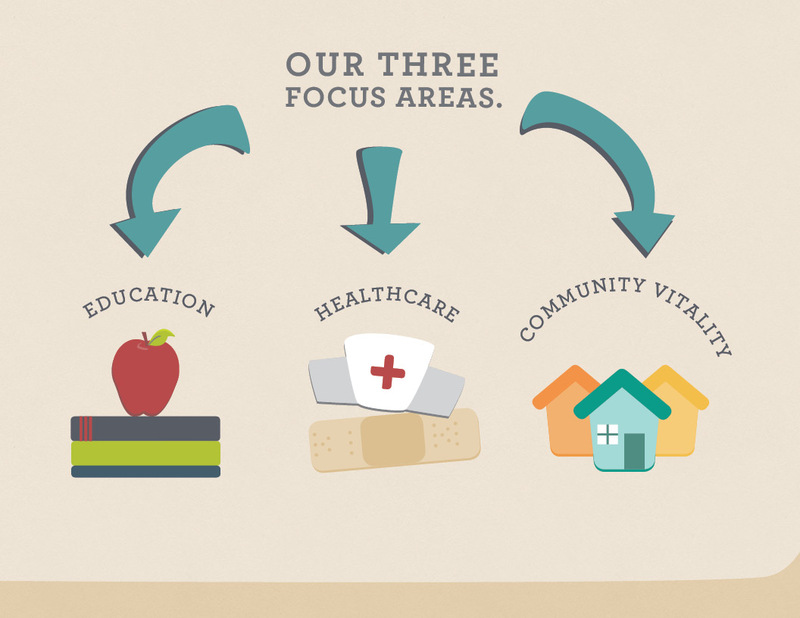 But we know the community benefits when we stop giving others a talking to and start talking with each other. 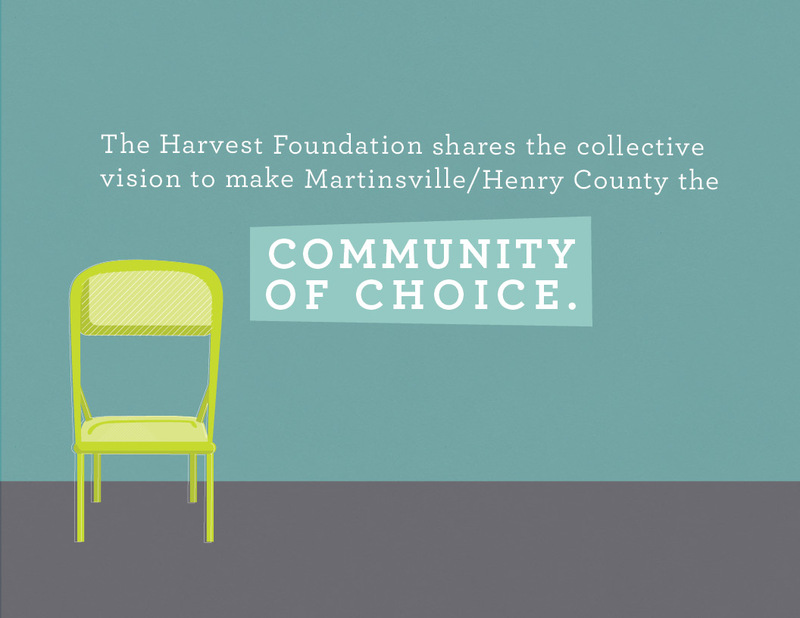 As a primary source of grant-funding in Martinsville and Henry County Virginia, the Harvest Foundation came to us with a vision to bring a variety of voices to the community table. Over the past few years, the Foundation has been shifting its investment towards projects that encourage collaboration and self-sustaining thinking rather than simply funding any worthwhile idea that came their way. 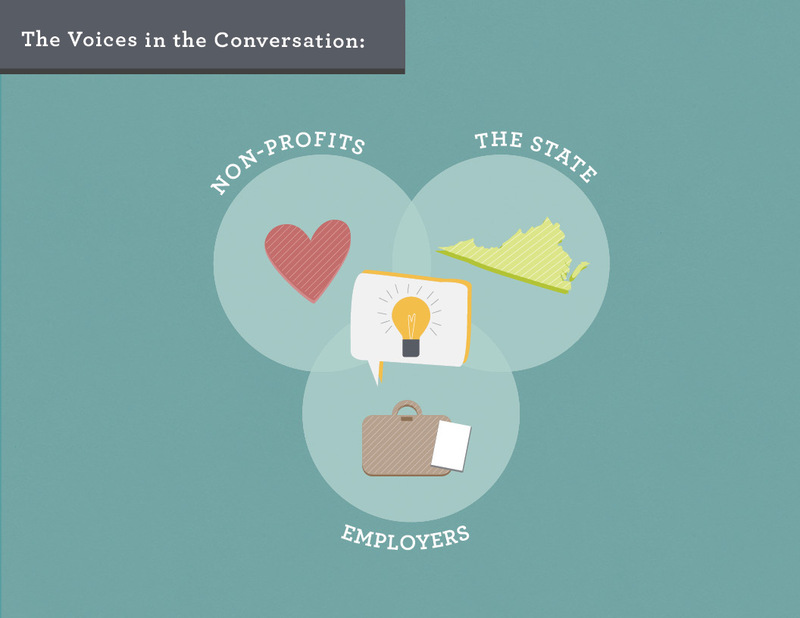 They asked for help developing a compelling presentation design (both language and visuals) to better tell their shifting story to community stakeholders. We began by facilitating interviews with staff, grant recipients and community leaders, helping capture stories, pinpoint challenges and gather a variety of perspectives. 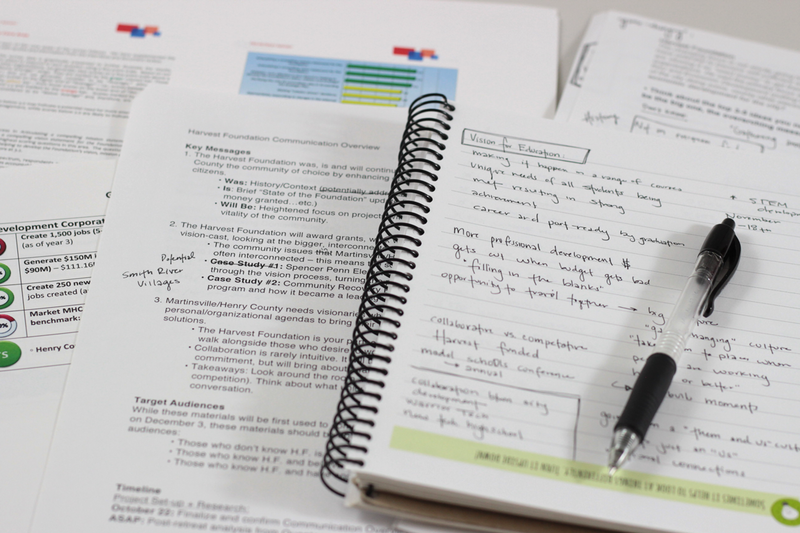 We analyzed past collateral, organizational reports and industry trends, finishing with a gauge of design preferences. 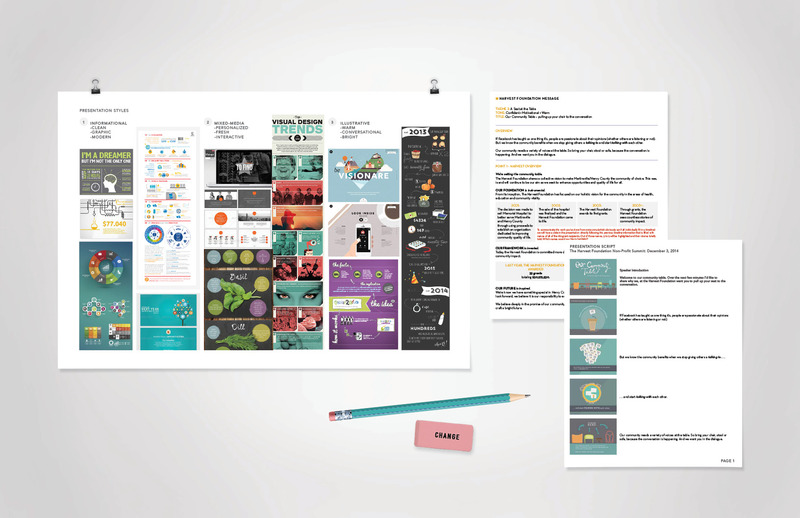 We began by crafting the language, developing themes that kept in mind tone, presentation format and potential visuals. Armed with a fleshed out script, we (finally) could put pen to paper (literally in this case). 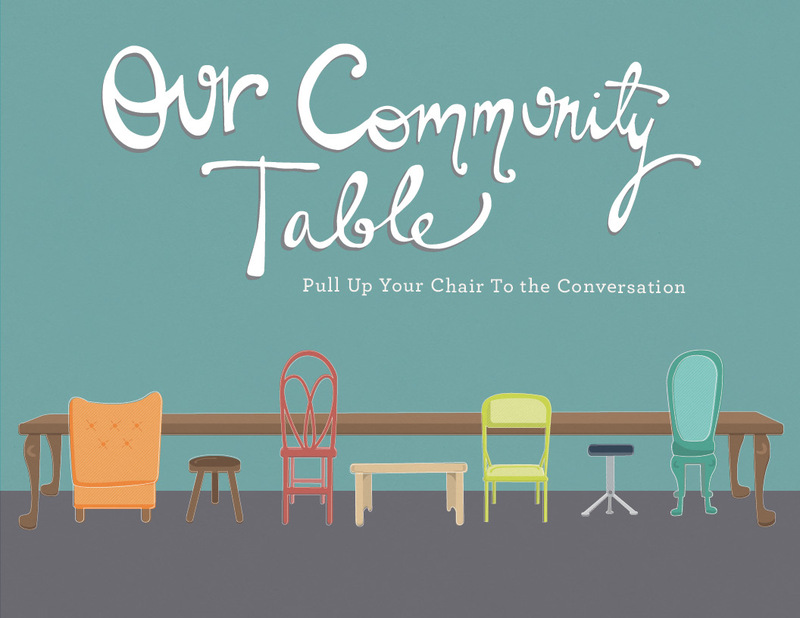 Utilizing insight we gained from our initial interviews we focused in on an illustrative, vibrant aesthetic that invited the community to pull up their chair, stool or sofa to the table of collaboration.